Burnley manager Sean Dyche backed his team to come through their current poor form after seeing them slip to a 1-0 defeat at Wolves. Raul Jimenez scored the only goal of the game as the Clarets succumbed to their fourth defeat in five Premier League matches so far this season. The result - coupled with West Ham's 3-1 win away at Everton on Sunday - sees Burnley stuck at the bottom of the table, having picked up just one point so far. "We've got a bit of a fog around us at the moment, brought on by many different things," Dyche told reporters. "We've been through it before, and we've got to come through it again." SD: "We have been through this before and we're just in that fog at the moment. You can't turn the ball over as often and as cheaply as we have today." 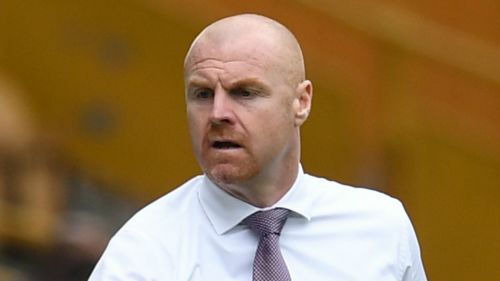 The Burnley boss, whose side were knocked out of the Europa League by Olympiacos in August, admitted Wolves were the better team but praised his players for an improved defensive display. After conceding 13 goals in their previous five outings in all competitions, Burnley were tougher to break down at Molineux, though Jimenez swept the ball past goalkeeper Joe Hart just after the hour mark to grab the winner. "I thought they were the better side overall, definitely on the creative side of the game," said Dyche. "The positive for us was we look much more like us defensively, in the sense of blocks - the keeper played great, but in front of that, blocks, energy to block, willingness and desire. "But that’s the only thing I can pick out. Offensively we gave the ball away so many times in so many cheap positions, and you can't do that." Opposite number Nuno Espirito Santo is not intending to change anything about the way his side are playing after they secured back-to-back Premier League victories. "The most difficult thing in football is the touch to put the ball in the goal," he said. "I'm glad the way we produced the chances and we are going to work together to be more clinical, ruthless and kill the game. "Burnley are a very tough team. What they did last season and how they did it, very compact, they were in the game until the end and things can change with the long balls and the corners because they are very good in these situations. "So to beat Burnley the way we did, we did well. But we keep on going, we don't have to change anything, just stay humble and keep working."